Dog Days of Summer are Doggone Hot!! It seems almost too hot to do anything - going to work is almost a 'staycation' if you work indoors as the-powers-that-be realize that a body needs to be cool in order to meet those job goals. But if you are out for the summer, staying cool is a bit more of a challenge as who wants to spend the rest of summer indoors avoiding the heat? That's why we are so fortunate to live in a county where we have water parks, linear parks and dog parks as well as public libraries just minutes away. Check them all out as we look for cool retreats after a busy day at work or during the day when the kids have tired of indoor pastimes. 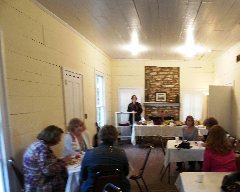 The planning committee for Small Town Big World International Festival meets at the Wynne-Russell House today at 5:15 pm. Visitors are welcome. Those interested in participating as exhibitors or volunteers should come to the meeting or contact the committee at info@lilburncp.com. 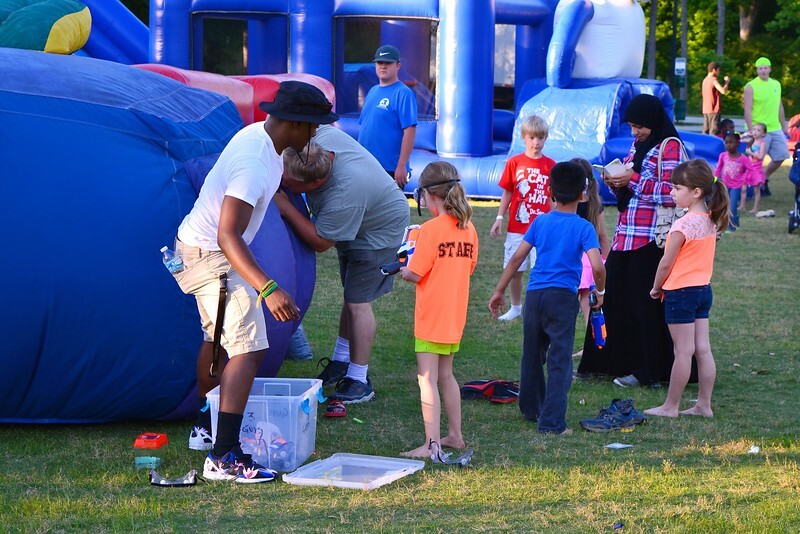 The Festival is 10:00 am until 2:00 pm, Saturday, September 12 in Lilburn City Park. www.lilburnevents.com. Interested in film acting and life skills? The LCP is partnering with The Actor's Scene Studio to offer an 8 week introductory course in the fall. The course, in addition to teaching basic acting skills, will focus on building confidence and self esteem and skills in problem solving, communication and team work. Classes will be offered for three age groups: 4-7 years, 8-11 years, and 12-17 years. Class times are approximately one hour on Tuesday evenings and will begin in September and finish in mid-November. 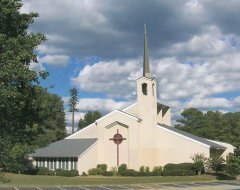 An information and registration meeting will be held on Tuesday, August 11 at 7:00 pm at the Wynne-Russell House located on Wynne-Russell Drive in Lilburn. 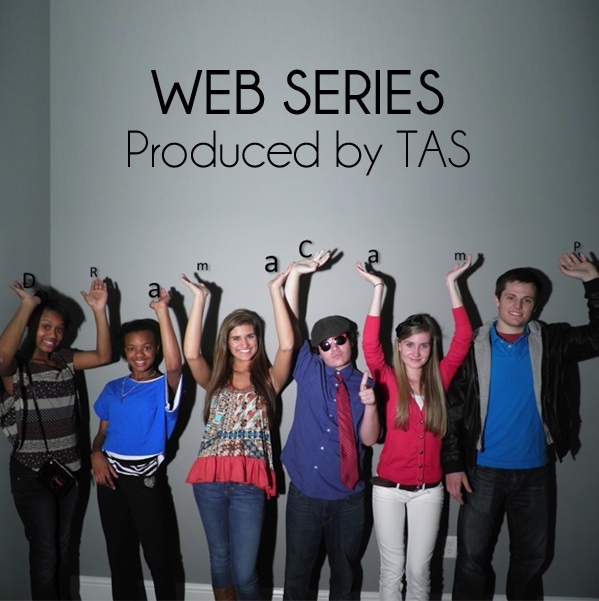 The Actor's Scene is an award winning performing arts studio for children, teens and adults serving the Atlanta Metro Gwinnett county area providing exceptional on-camera training & acting classes for movies, TV and commercials while focusing on improving confidence and self-esteem. 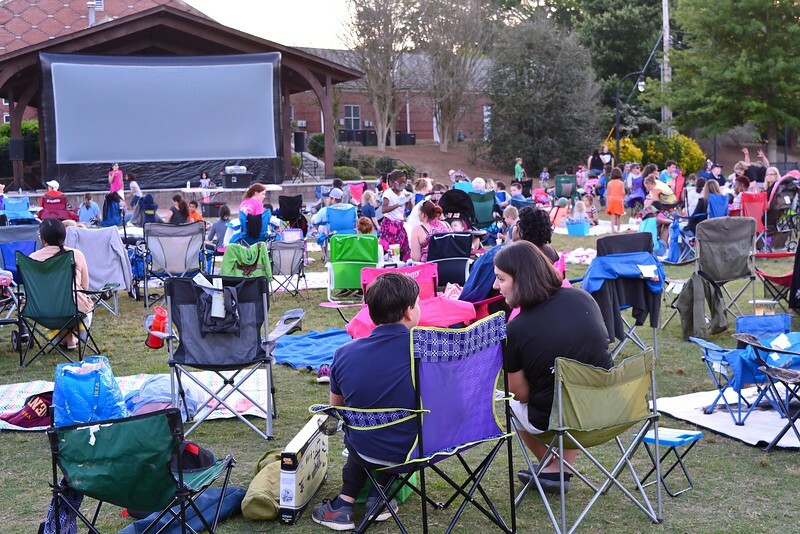 The studio also provides programs and events for talent agency placement.The Actor's Scene is a well known school whose main campus is in Buford. Check their web site for more information: www.theactorsscene.com. Contact info@lilburncp to RSVP for the informational meeting on Aug. 11. This past Saturday Timeless Paranormal investigators Shannon and David Byers gave a guided tour of the Wynne-Russell House that combined the known history of the house with what they have found through their two formal investigations of the house. On Saturday, August 1 beginning at 10 am, the Byers will once again, give a tour of the house and cemetery followed by an explanation and demonstration of the equipment that they use. Come join us and learn more about the Wynne and Russell families who helped to settle Lilburn before there was a Lilburn! There is no charge for the tour. A transcript of the investigations will be available for purchase. Donations and proceeds will go toward the maintenance of the Wynne-Russell House. Remaining dates for Tours are August 1, September 5, and October 3. Save the date of August 18 for LCP After Hours. Details will be announced regarding the location and program for the August event. In the meantime if you are a business and would like to participate in the door prize drawing, contact Michael Taylor: mtaylor@belllsouth.net. You will get center stage time to present your business before awarding your door prize. 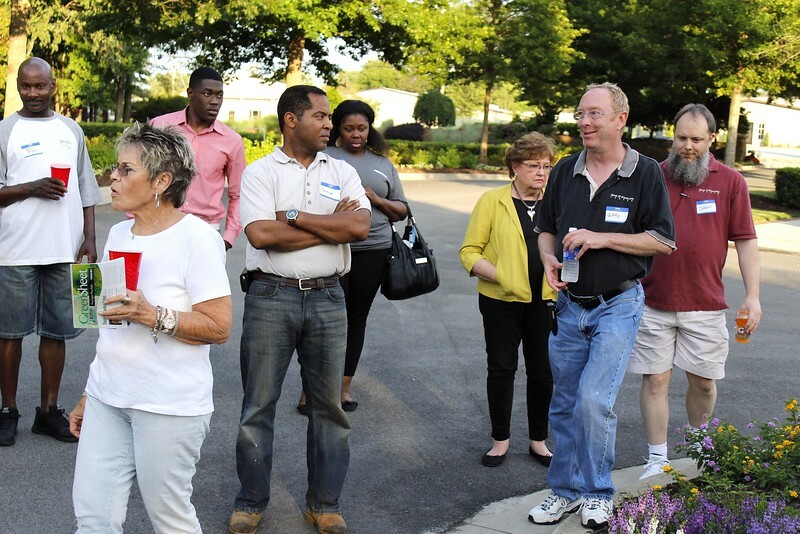 After Hours is an evening where residents and business owners come out to mingle and get informed on what's going on in our Lilburn community. Looking for Space for a Gathering? Next time you are looking for a location for a shower, small luncheon, office training, or a place to gather to play bridge or craftmaking, consider the Wynne-Russell House. The House rents at $25 per hour with a two-hour minimum. It has a new heating and A/C system. Daily rates are $150 per day during the week and $200 per day on the weekend. 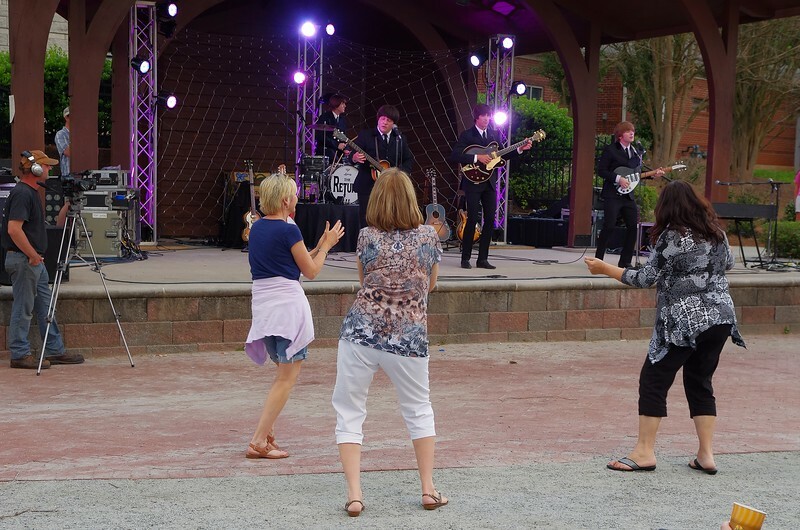 Enjoy dinner and music in Lilburn City Park! 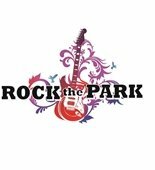 Sample a variety of food trucks and local bands. Only two more Food Truck Tuesdays: second Tuesday in August (the 11th) and the third Tuesday in September (the 15th). Veterinarians are urging dog owners to take precautions against the canine flu. The University of Georgia's College of Veterinary Medicine offers comprehensive information about the canine flu on its website (see the link below). Approximately 80 percent of dogs exposed to the virus will get sick, because they have no natural immunity to this strain of the virus, according to College of Veterinary Medicine. Older, younger, and critically ill pets have a higher risk of contracting the virus. The rate of death is very low, 1 to 5 percent. A landscaping plan for the roundabouts has been designed and will be installed in the fall. The city will begin sidewalk projects on Main Street and Poplar Street this summer. City Council recently approved a grant application for $87,000 in state funding to repair Lilburn Industrial Way, which has the worst rated road condition in the city limits. Deep patching and reconstruction of the base will be completed by October 2015, and paving will be completed in 2016. 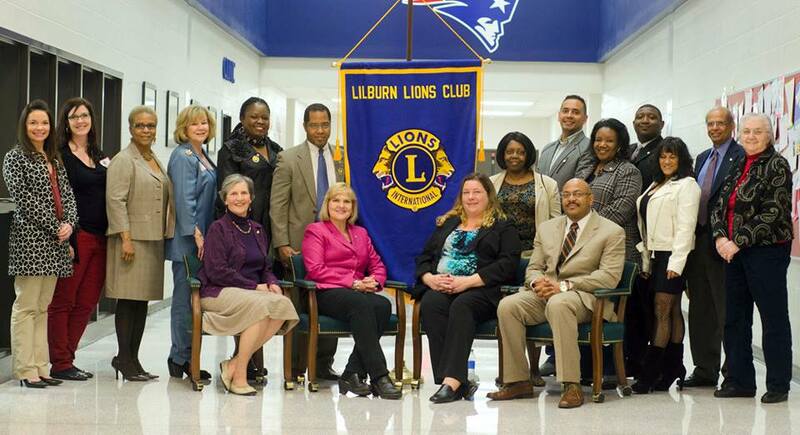 Lilburn Arts Alliance meetings will now take place every other month, with the next meeting in August, 2015. The 2015 Fall Exhibition will be combined with our showing at Lilburn Daze on October 10, 2015. More information will be coming soon! Please contact Andy Triemer, President, at (770) 931-2295 or visit our website www.lilburnartsalliance.org for more information about the Lilburn Arts Alliance. Our next Business Builders Breakfast will be August 7, 2015 at Killian Hall. Our speaker will be Doug Dorough of Dorough Landscape who will be talking about "Landscaping your Small Business and Why It's Important". The LBA has decided to continue to split our meetings between this facility and the restaurant A Taste of Paradise. Be sure to check the LBA website and newsletter for meeting location. 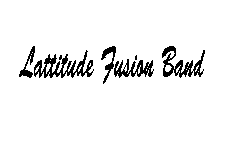 The Lilburn Lions Club would like to invite those interested to attend meetings the second Thursday of the at noon at the Taste of Paradise Restaurant located in the Market Place Shopping Center at 4805 Lawrenceville Hwy. in Lilburn (intersection of Indian Trail Rd. and US 29) and the second meeting the fourth Thursday of the month at 6:30 pm at Berkmar Middle School, located opposite the Post Office on Hwy. 29 at the traffic light at Postal Way. 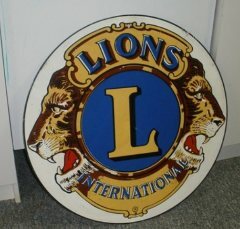 For information on Lion's Club International, please follow this LINK. Did you know that suicide is the 10th leading cause of death in the US for all ages; homicides is 16th. Suicide is the 4th leading cause of death for people 18 to 65. Mireille (MiMi) Etienne, NCC, LPC, LMHC, CCHP Director of Mental Health Services, Corizon Health at Gwinnett County QPR Training (Question, Persuade and Refer). Recently, concerned residents have questioned the practice of children playing in the stream in Lilburn City Park. Because of the inherent potential for bacteria and other foreign objects in the water, these people were concerned that signage should be posted to discourage access to the water. The stream is a natural waterway cutting through the City of Lilburn Park. It is a natural hazard with all the risks implied by any stream or body of water in the State. 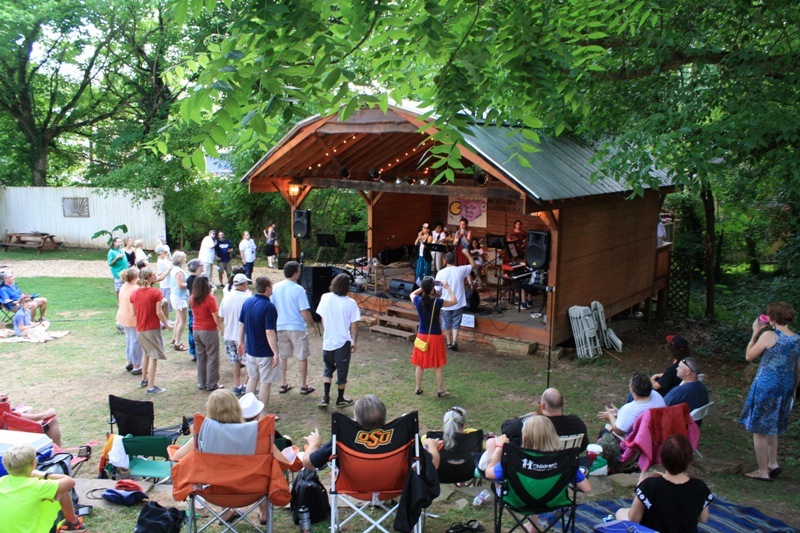 The stream is not owned by the City and is designated under the jurisdiction of the State of Georgia. The stream was restored by Gwinnett County/State of Georgia to control erosion; it was not intended as a play area or for access by residents. Restoration was not initiated or funded by the City of Lilburn. The city has no plans to place signage warning against hazardous access to the water, nor does it plan to begin water testing. Stone Mountain charges for admission to their public access beach and is required by the State to have inspections for bacteria and other hazards, as well as provision of lifeguards. It is not the intent of the City of Lilburn to suggest that this is the case with the stream within Lilburn City Park. 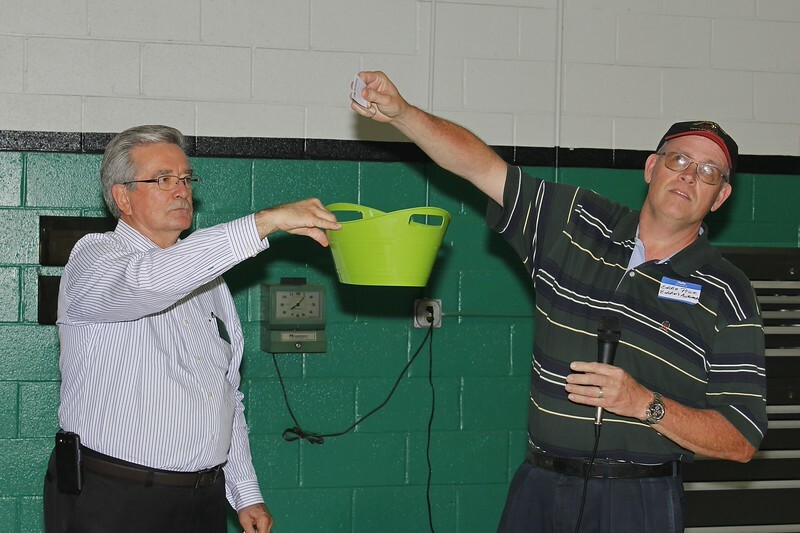 At a recent Town Hall meeting, a resident reported that he had been visited by someone purporting to be from the City of Lilburn coming to inspect their septic tank. They found the outlet, the person looked in the tank and offered to "repair the tank" for $700. for septic systems. This is a scam. products or services and does not display this permit, notify police. If someone rings the doorbell, let them know you are home--but you do not need to open the door. If you are not expecting visitors/service people, let the caller know that you have not requested their visit. You can either talk through an upstairs window or through the door. So you think you have cautioned your children not to talk to strangers... Watch this. July 23 from 7:00pm to 8:00pm. Water demand for lawns, gardens, and landscapes typically peaks in July, which can lead to higher than expected water bills. Join Gwinnett Extension Director Robert Brannen and learn how to water smarter and keep your yard green without wasting water or money. All participants will receive a free outdoor water efficiency kit. To register, send an email with your name and address to dwrconserve@gwinnettcounty.com or call 678.376.7126. Gwinnett Justice and Administration Center Conference Room C, 75 Langley Drive in Lawrenceville. July 25 at 6:30pm. Join us for a fun therapeutic recreation event, held specifically for those with disabilities and their families, with games, a hula hoop contest, tropical snacks, limbo contest, and traditional Hawaiian leis.The cost to attend is $6 per person if pre-registered by July 23 or $8 per person at the door. Call 678.277.0900 for information. All pool rules apply. Collins Hill Park Aquatic Center. 2200 Collins Hill Road in Lawrenceville. August 8 from 9:00am to noon. Join us for a one-day workshop that will cover resume writing as well as interview skills. Workshop is provided by Lift up Atlanta Inc. Call 678.225.5400 to register in advance. Norcross Human Services Center, 5030 Georgia Belle Court in Norcross. August 29 at 8:00am. Join us for Gwinnett Fire Employee Benevolent Fund's annual 5-Alarm 5K Run/Walk. Registration begins at 7:00am at the Lawrenceville Lawn.Please click here for additional information and registration. All race proceeds will benefit the Gwinnett Fire Employee Benevolent Fund, a nonprofit 501(c)(3) charitable organization whose mission is to help Gwinnett Fire employees and their families in times of crisis. Lawrenceville Lawn,147 Luckie Street in Lawrenceville. (Lawrenceville, Ga., June 16, 2015) – Gwinnett Clerk of Court Richard Alexander is pleased to offer two notary public training classes for the public. Working in conjunction with the Georgia Superior Court Clerks’ Cooperative Authority (GSCCCA), the Gwinnett Clerk of Superior Court’s office will host two training classes on Aug. 21, 2015. Training will be held at the Gwinnett County Justice and Administration Center Auditorium. The classes will be held from 10:30 a.m. to noon and 2 p.m. to 3:30 p.m. There is no charge to attend these workshops but registration is requested. For registration information, please visit the Clerk of Courts website at www.gwinnettcourts.com. y have done teacher apreciation parties for several schools in the Lilburn area where they have given Konas to each teacher and staff member. They will be continuing this practice in the coming weeks as teachers return to prepare for the new school year. Thanks Kona Ice franchise owners Jeff and Karen Thomas. Congratulations to 1910 Public House and Three Blind Mice for having been selected by Explore Gwinnett to participate in the 2015 Restaurant Week. Go to this LINK to see more on Restaurant Week menus which takes place this week. Come out this Friday to the Lilburn Farmers Market. 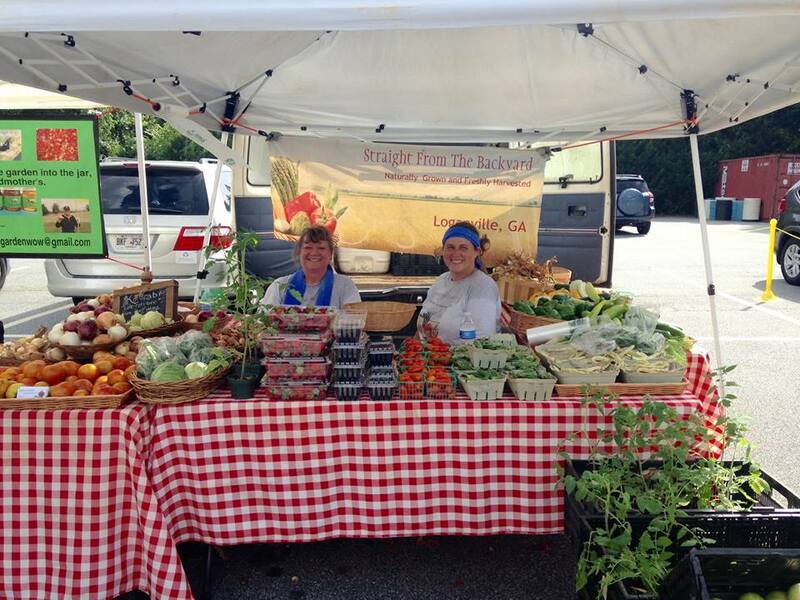 The Lilburn Farmers Market is located at 1400 Killian Hill Road, Lilburn at Good Shepherd Presbyterian Church every Friday in July and August from 4 pm to 8 pm. Rain or shine come and join the fun!Food trucks and BBQ make an easy dinner on Friday nights. Through a partnership with Wholesome Wave Georgia and Project Generation Gap, the Lilburn Farmers Market is now accepting EBT/SNAP benefits and doubling these benefits on locally grown fruits and vegetables. Also the My Market Club is a new addition offering a customer loyalty program to new customers to the Lilburn Farmers Market. By bringing your loyalty card back each week, new customers will receive incentives ranging from a shopping tote to $5 tokens to spend with any of our vendors. "A Tasty Way to Start Your Weekend!" 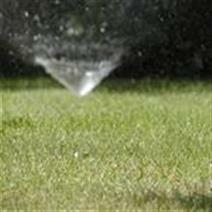 Wednesday, July 29, is Sprinkler Day! We're turning on the sprinklers in Lilburn City Park for the kids to enjoy. Come play from 10 a.m. until noon on the last Wednesday of the month through August. Sprinklers will be turned on in a section of the field. Children must be supervised by an adult. 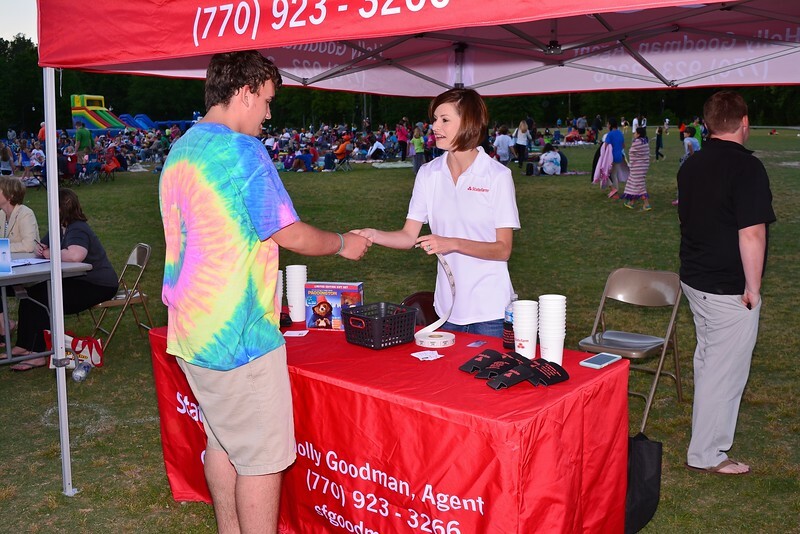 Out in Lilburn City Park on Aug. 4, 2015, from 6 to 8:30 p.m.
information, food, activities, health and vision screening to the public. areas with a population of less than 15,000. 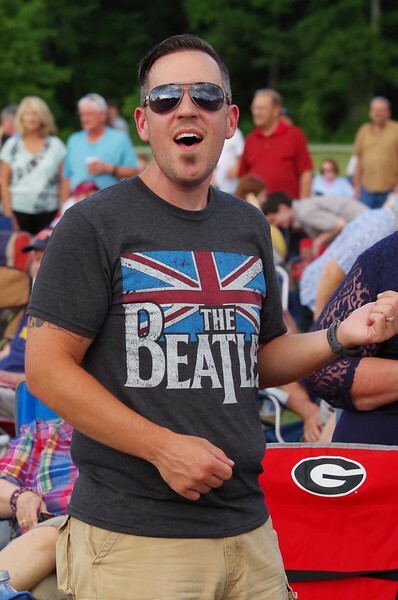 The Ultimate Eagles Tribute -- On The Border brings your favorite hits to Lilburn City Park on Aug. 7! 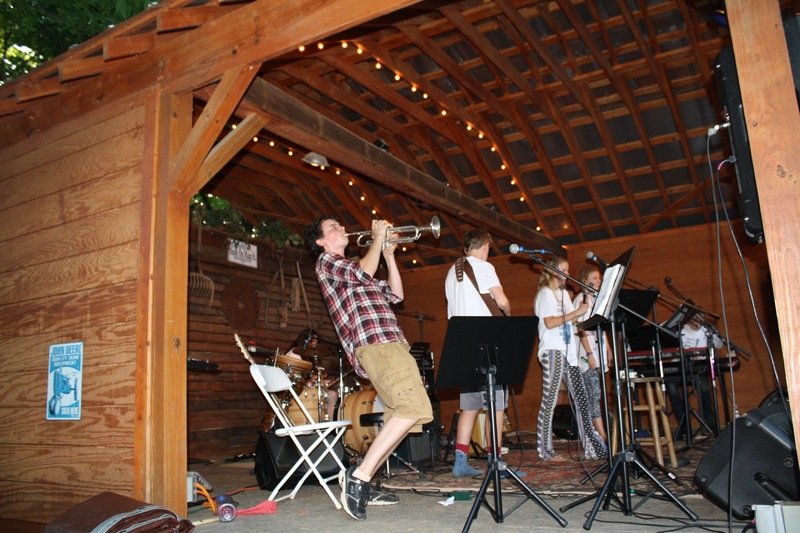 Pack a lawn chair or blanket and enjoy a free concert under the stars. 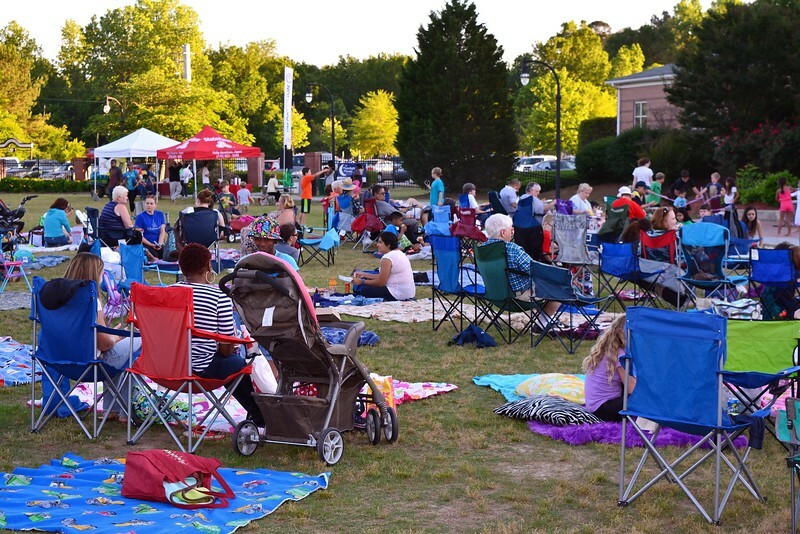 Food and beverages (alcoholic and non-alcoholic) available for purchase beginning at 6 p.m. Concert starts at 7:30 p.m.
Now through August, the City of Lilburn hosts a traditional farmers market in Old Town focused on fresh, local food. Lilburn City Market is open Tuesday evenings from 4 to 7 p.m. in the Greenway Trail parking lot across the street from City Park. Products include fruits, vegetables, herbs, baked goods, salsa, honey, and more. 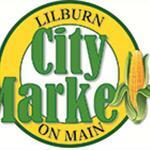 For a list of vendors at each week's market, visit the Lilburn City Market page on Facebook. 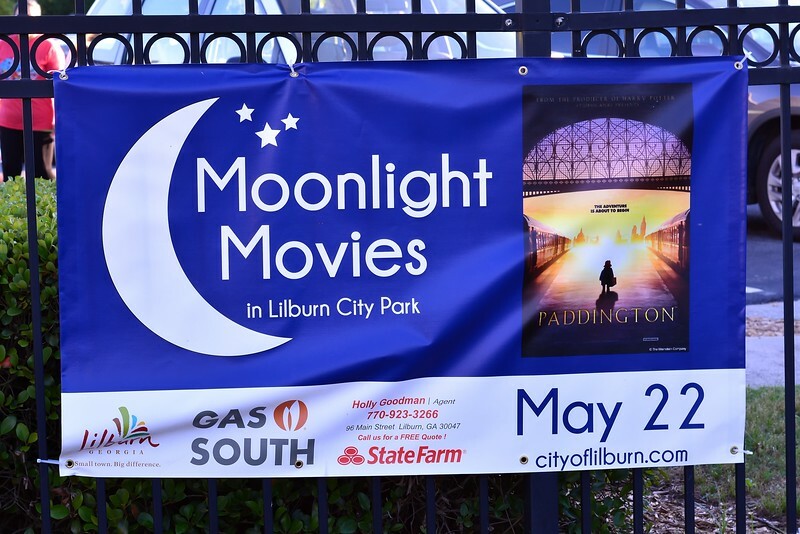 Isn't Lilburn just a really great place to be! So many activities and events surround us, it makes it difficult to choose. This month's edition focuses on activities and events. It's great to see our Farmers Markets and Food Trucks returning. 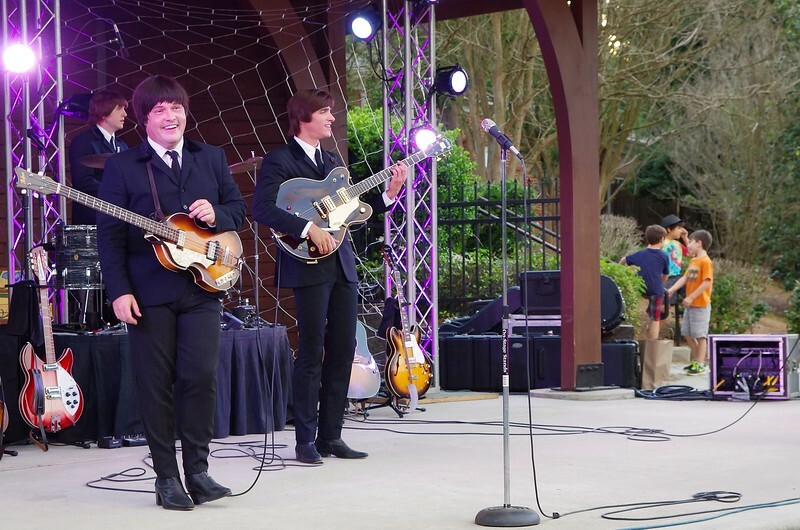 Of course Lilburn Park has already added two new and very successful events: See the picture gallery from the Beatles Tribute Band and Movie Night. And isn't it just a really cool idea to turn on the sprinklers in the park every so often! Going beyond Lilburn, check out what the Environmental Heritage Center in Buford is offering - great summer camps and a textile exhibit that traces 200 years of weaving in Georgia. Great activities for everyone. The center also sponsors some activities at the Yellow River Post Office nearby and at McDaniel Farm in Duluth. We have also included some summer safety reminders and also hope you check out local businesses. Our civic organizations are continuing to make a positive difference in our community; consider supporting them in any way you can. Graduates from the last two Lilburn Citizens Police Academy classes are in the process of forming “The Lilburn Citizens Police Academy Partnership." This will be an alumni association for Lilburn residents who have participated in the academy. To learn more, alumni of the academy are invited to the LCPAP’s next meeting. The meeting will be held at City Hall on Thursday, June 11, beginning at 6:30 PM. For more info: LINK to facebook page. 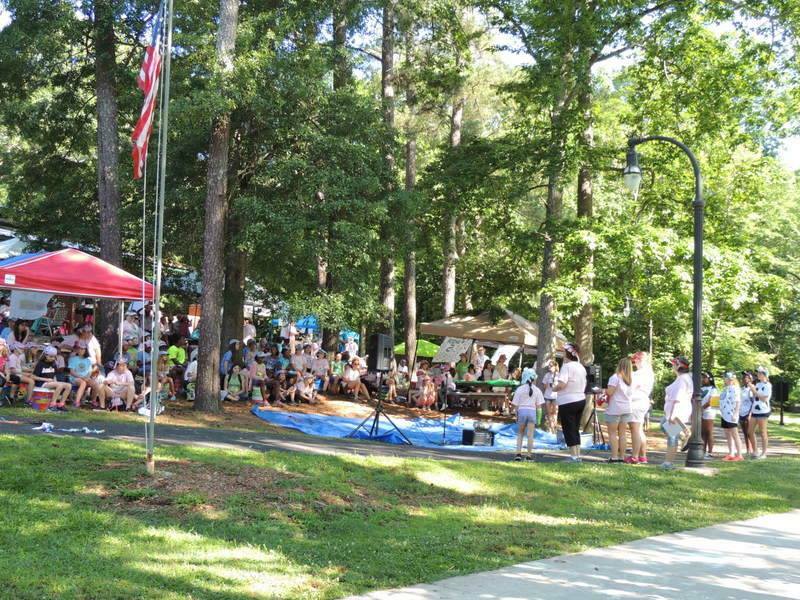 5K Race/Walk to benefit the Scleroderma Foundation GA Chapter. To register, follow this LINK. Bring your kids to play in the sprinklers at Lilburn City Park! 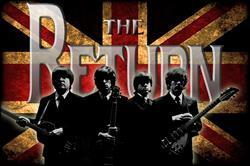 Monday, June 22, 7:00 PM - 8:00 PM @ Lilburn City Hall Auditorium. Join Mayor Johnny Crist for an open forum about topics that interest Lilburn residents. The June meeting will focus on upcoming sidewalk projects in Old Town and the possibility of turning Lula Street into a one-way street with a pedestrian trail. 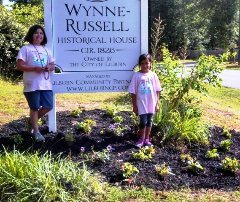 The Wynne-Russell Preservation Committee will hold an organizational meeting on Wednesday, June 10 at 5:00 pm at the Wynne Russell House. 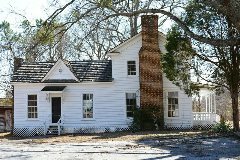 The committee will be tasked with helping to provide repair and maintenance of the historic home as well as make recommendations to the Board and the City of Lilburn regarding the house. 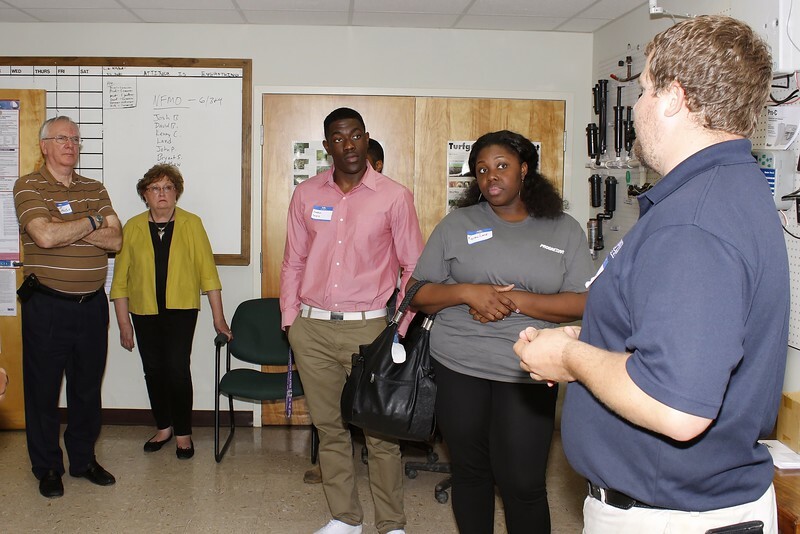 Additionally, the group will solicit grants and assist with tours and events. Those interested in volunteering to help maintain the Wynne-Russell House are invited to attend. 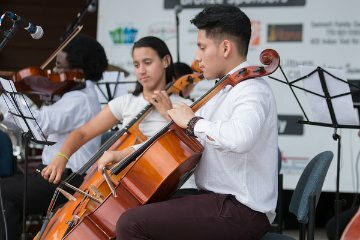 Interested in participating in the upcoming Small Town, Big World Festival? Come to our next planning meeting to be held at 5:30 pm on Tuesday, June 23 at the Wynne-Russell House. 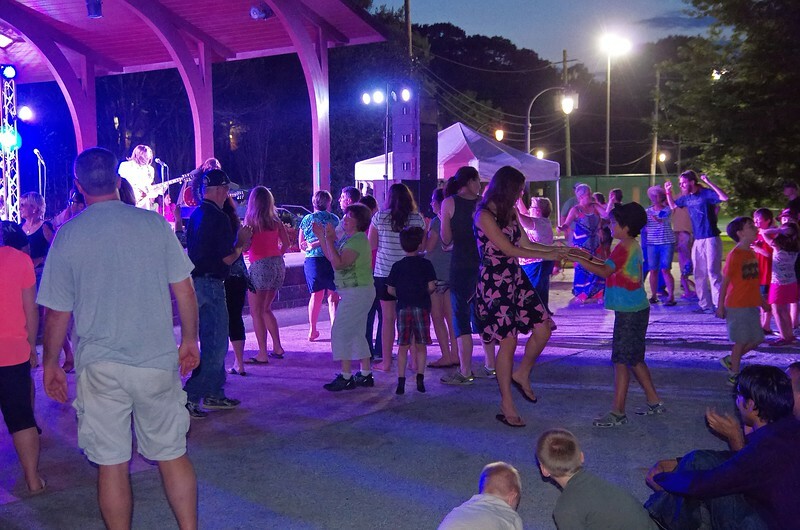 Event organizers are seeking sponsors, vendors, exhibitors, and entertainers for the second annual Small Town. 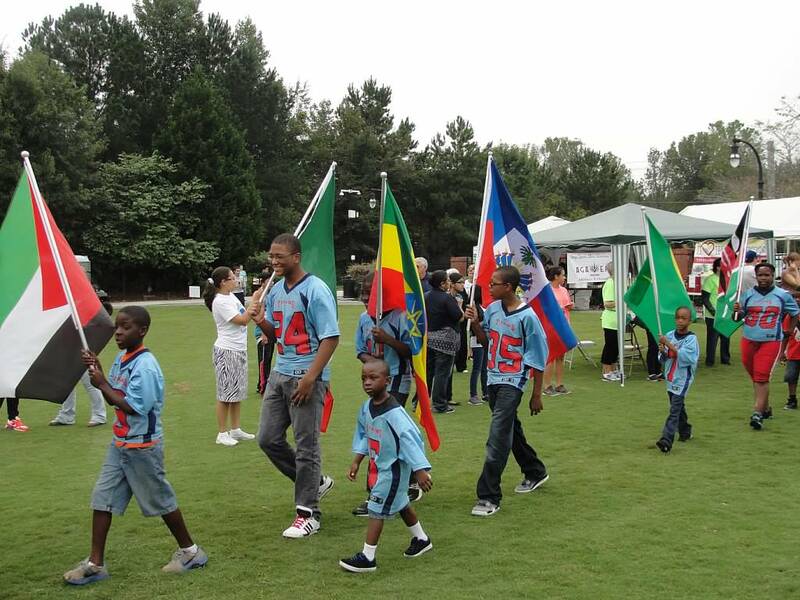 Big World: International Festival to be held in Lilburn City Park on September 12, from 10:00 am until 2:00 pm. Contact info@lilburncp.com or www.lilburnevents.com. Non-profits including schools, government agencies, civic, youth, sports and faith organizations may get free booth space. All exhibitors are encouraged to have a cultural theme and/or activity in keeping with the event theme of celebration the diverse heritages of our community. Go to www.lilburnevents.com to download a booth registration form. 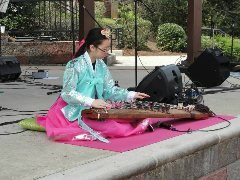 To date entertainment includes performances by the Lilburn Middle Orchestra, Irish, Folklorico and Bollywood dance groups and a Korean Guayacumist. Scouts from the Rockbridge Service Unit recently helped to refresh the plant bed. 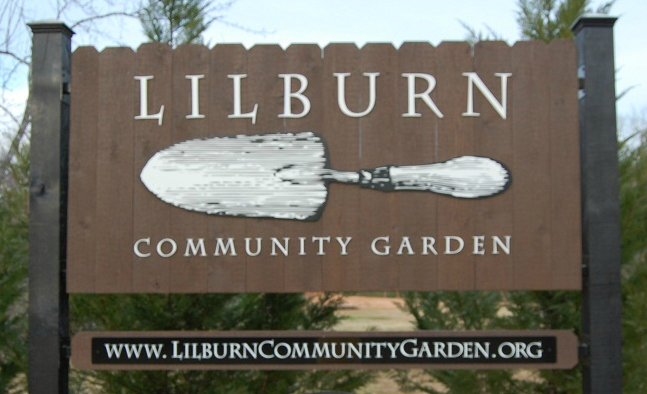 Contact info@lilburncp.com if your group would like to help with the grounds maintenance or projects. 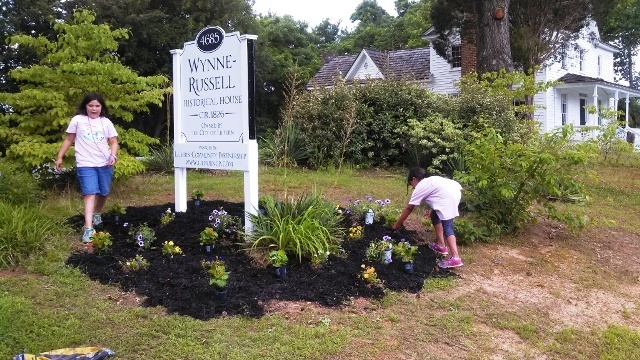 The Wynne Russell House had a new heat system put in this past winter by Spence Heating. Earlier this week, Spence Heating installed air-conditioning. With the historical home now equipped to handle our hot summers, the LCP would like to welcome groups and individuals to use the home for small meetings and gatherings. Rental for the meeting areas is $25 per hour. Contact info@lilburncp.com for aditional day rates and information. 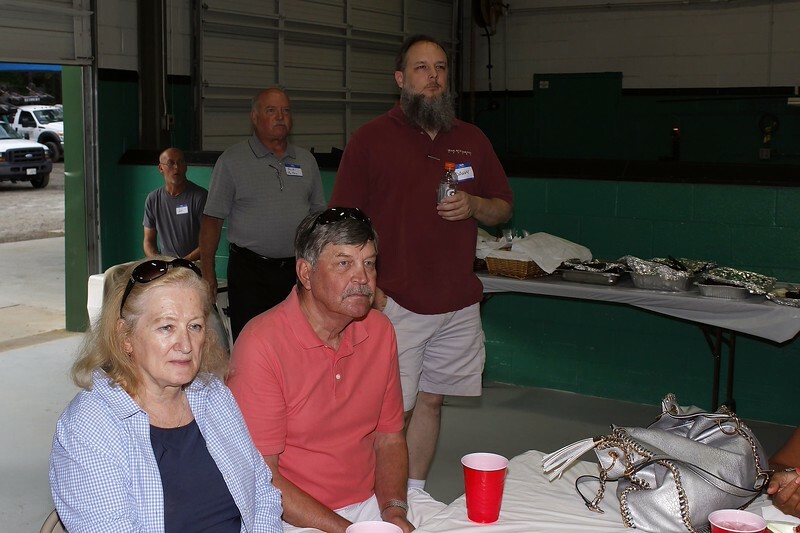 LCP After Hours was held May 19 at Ruppert Landscape on Lilburn Industrial Way. 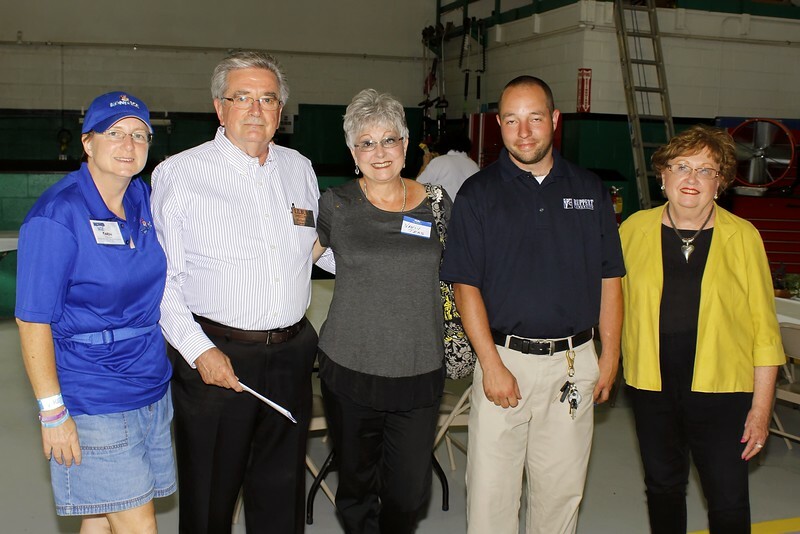 Business operators and residents came out to enjoy a cookout and tour of the grounds by Steve Faber and staff. LCP would like to thank Ruppert Landscape for hosting the May event. Friday, June 12 from 8:30am to noon. Learn the difference between venomous and non-venomous snakes and how to identify different spiders at this free event. The program will be presented by Dr. Mark Patterson of the Gwinnett County Department of Community Services. Gwinnett Justice and Administration Center auditorium, 75 Langley Drive in Lawrenceville. Friday, June 12 from 1:00pm to 4:00pm. Learn how to identify colors, markings, and issues in the community that relate to gang behavior. The presenter will be Officer Marco Silva from the Gwinnett County Police Department. Gwinnett Justice and Administration Center auditorium, 75 Langley Drive in Lawrenceville. Saturday, June 13 from 1:00pm to 4:00pm. Come to this fun event to learn about fire, pedestrian, water, car seat, wheeled, and home safety. All children who stamp their passports by visiting all six areas will get prizes while supplies last. Sugarloaf Mills Food Court, 5900 Sugarloaf Parkway in Lawrenceville. 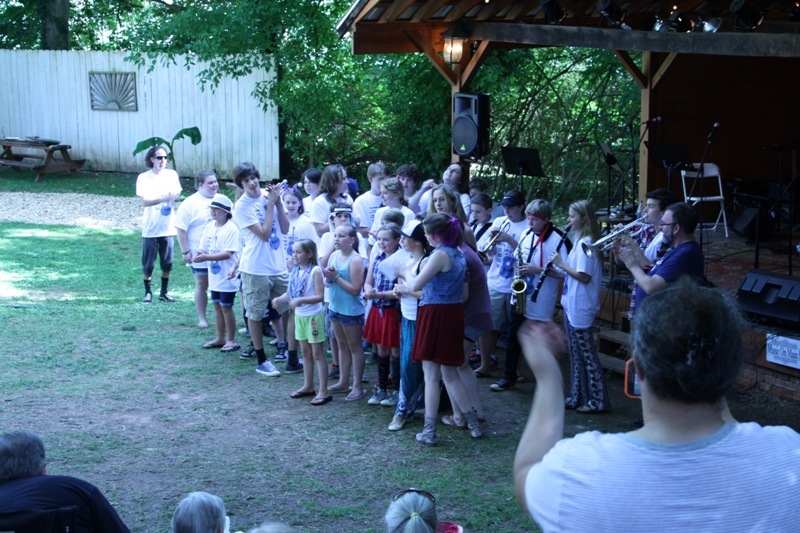 In recognition of Juneteenth, the oldest known celebration of the end of slavery, bring your family to enjoy special programming at McDaniel Farm. Tiffany Young will demonstrate dancing and storytelling of African American culture. Participate in a guided tour of the farm and enjoy making and eating homemade ice cream. This program is co-sponsored by the United Ebony Society of Gwinnett County and the Environmental Heritage Center. Pre-registration is required and may be completed at www.gwinnettEHC.org. We encourage you to register early to secure your spot in this fun, family program! 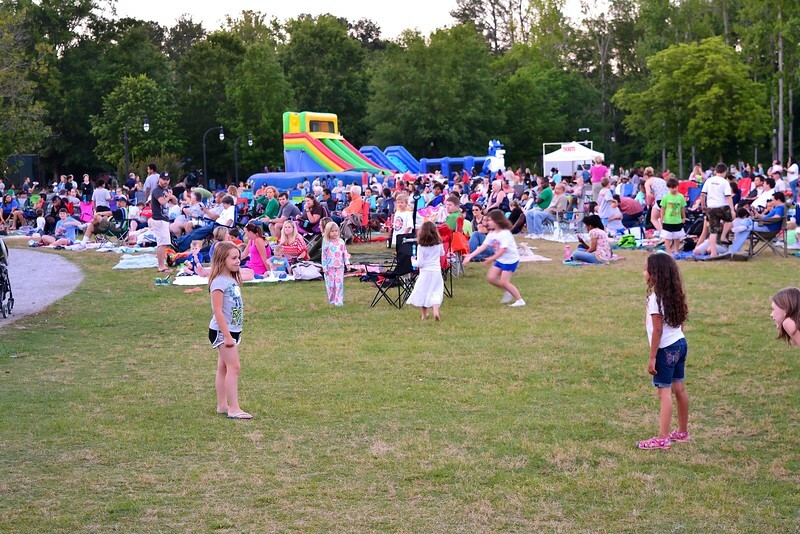 Pre-registration is required and may be completed at www.gwinnettEHC.org. Thursday, June 18 from 6:30pm to 8:00pm. Home vegetable gardens can provide fresh vegetables throughout the seasons. However, numerous pests also enjoy feeding on your plants. This class will cover how to identify and control common vegetable garden pests. Register by June 16 by calling 678.377.4010 or by emailing timothy.daly@gwinnettcounty.com. Lanier Community Garden, 2601 Buford Dam Road in Buford. Saturday, June 20 from noon to 3:00pm. 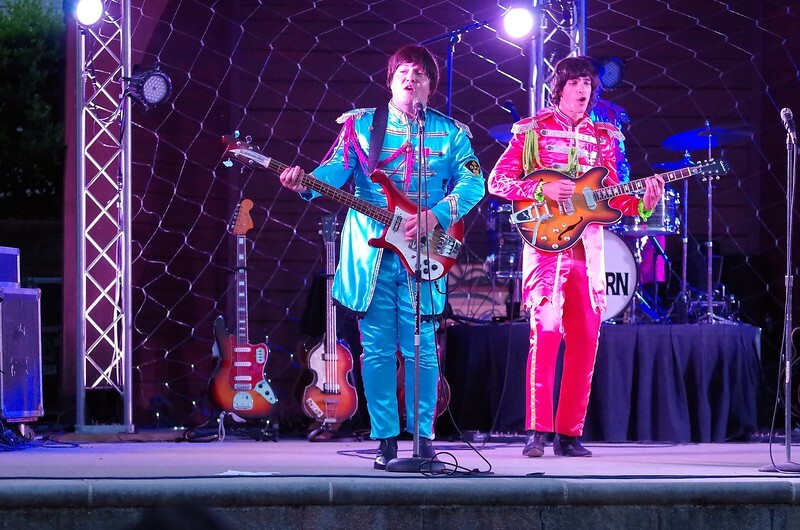 Kick off the first day of summer with a luau and enjoy live entertainment, games, hula hoop contests, limbo contests, and traditional Hawaiian leis. Admission is $9 per person and is open to all ages. Call 678.277.0870 for more information. Mountain Park Aquatic Center, 1063 Rockbridge Road in Stone Mountain. 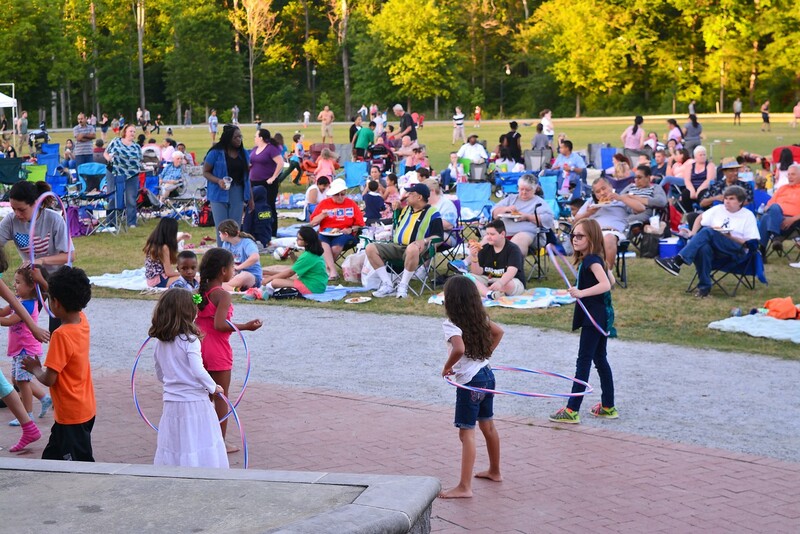 Summer is here, and it's time to celebrate with a trip to one of Gwinnett's award-winning Parks and Recreation aquatic centers and pools. All aquatic centers opened on May 23 for the summer season. Our local centers offer beach entry, water play structures, giant water slides, picnic areas, and more. Parks and Recreation also offers a variety of amenities such as private, semi-private, and group swim lessons and private rental opportunities. 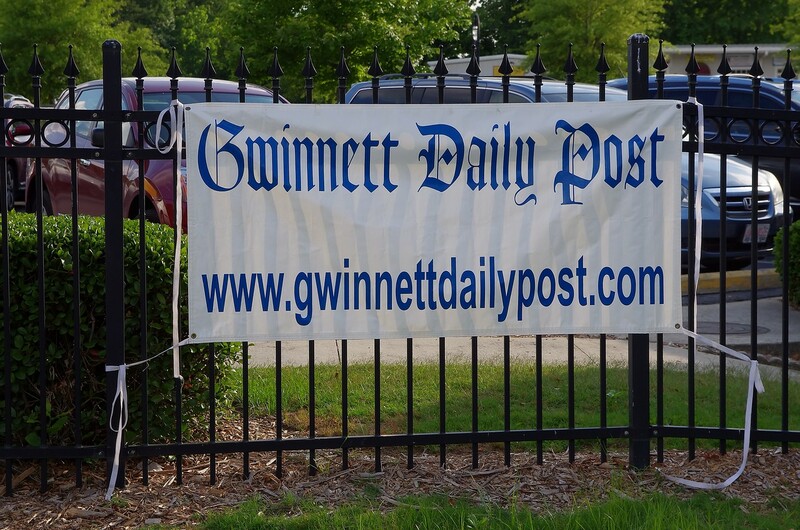 The Gwinnett County Department of Fire and Emergency Services and Safe Kids Gwinnett are urging residents of all ages to stay safe while visiting swimming pools during the summer. Both agencies have teamed up to promote year-round swimming pool safety. According to Safe Kids Georgia, drowning can happen at any time of the year, but parents and caregivers should be particularly vigilant during warmer months when the numbers of drowning incidents increase. Many facilities such as backyard, apartment complex, and subdivision pools have no lifeguard on duty and require extra diligence from parents and caregivers to ensure safety. For additional information on pool safety, click here. The next session of the Police Department Citizens Police Academy begins July 14. Participants will receive training on the organizational structure of the department, crime scene investigations, criminal investigations, gang investigations, traffic enforcement, and more. If you are interested in participating, visit www.gwinnettcpa.com to get an application. Applications must be received by Friday, June 26. For more information about the Citizens Police Academy, email CitizenPoliceAcademy@gwinnettcounty.com. The Gwinnett County Police Department is holding its first ever Clergy Citizens Police Academy. Sessions will be held on Mondays between August 17 and September 21, 2015. There will be no class on Monday, September 7 because of the Labor Day holiday. Each class will begin at noon and end at 5:00pm. The mission of the Clergy Citizens Police Academy is to create and develop a growing nucleus of responsible, well-informed citizens and clergy members who want to learn more about their police department. Members of the academy will learn about the Police Department's organizational structure, criminal investigations, narcotics, 911 Operations Center, Crime Scene Investigations, emergency management, use of force, internal affairs, and more. 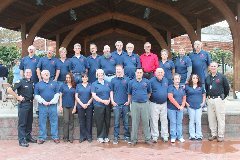 Clergy who are interested in joining may obtain an application through the Citizens Police Academy Alumni Association website at www.gwinnettcpa.com. Applications must be received by August 3 to be considered. Applications received after August 3 will be considered for future sessions. Submit applications to policevolunteers@gwinnettcounty.com, by fax to 770.513.5531, or by mail to P.O. Box 602, Lawrenceville, GA 30046. For questions, email CitizenPoliceAcademy@gwinnettcounty.com. 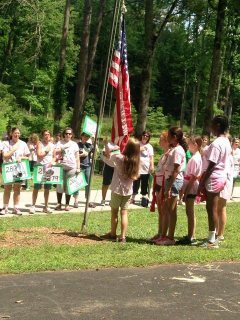 Girl Scout Day Camp held its 33th camp last week at Lilburn City Park. 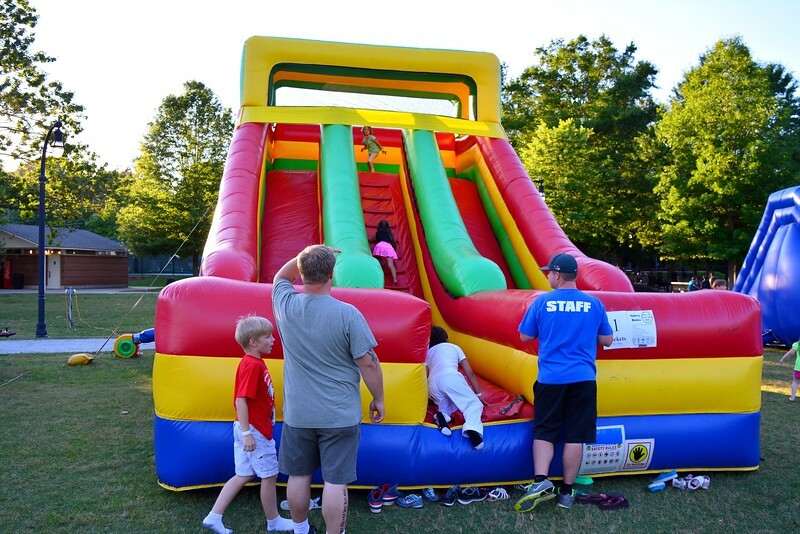 Pictures tell how much fun it was at Lilburn Park. 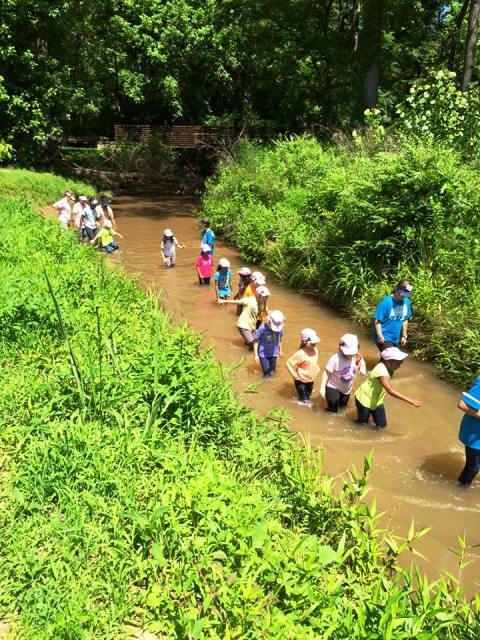 Check below for other day camp options in the Lilburn area as well as programs sponsored by the Environmental Heritage Center in Duluth and Buford. Vacation Bible School: Bring your friends and register today for a VBS at Good Shepherd Presbyterian Church. 1400 Killian Hill Road Lilburn, GA 30047. This year’s theme is “Everest: Conquering Challenges with God’s Mighty Power.” Circle the dates; June 22nd to June 26th 2015, from 9:30 A.M. to 12:30 P.M. Registration is $15 and includes t-shirt and music CD. You may register in person at the church office or online at www.goodshepherdpc.org Ages 3 years through 5th grade. EHC Summer Camp 2015: There are multiple camps offered at both the EHC (in Buford) and McDaniel Farm (in Duluth) for ages 2 to 13! Reptiles, amphibians, insects and spiders will be making their way through this week's camp as we explore some of their favorite hiding spots. Crafts, songs, live animals, and outdoor discovery will excite children in learning about these important and unusual forest friends! Are you looking for an exciting adventure through time? Go behind the scenes and discover what makes a museum come alive. Take part in living history demonstrations and view hundred year old artifacts and documents. Engage in hands-on activities at some of the historic sites of Gwinnett County: McDaniel Farm, the Yellow River Post Office and the Veterans Museum. Camp will include a Treetop Quest adventure. This will be the best camp in history! Let the EHC woods awaken your senses and imagination as we take a journey through the history, stories, and myths of the Creek and Cherokee tribes of native America. This performing arts camp will inspire the creativity and talents of young actors as they bring to life characters and scenes of myths such as The Thunder Helper, How Rabbit Fooled Alligator, How the Terrapin Beat the Rabbit and several others. Campers will spend the week developing their performing skills for short performances on the trail at the end of the week. 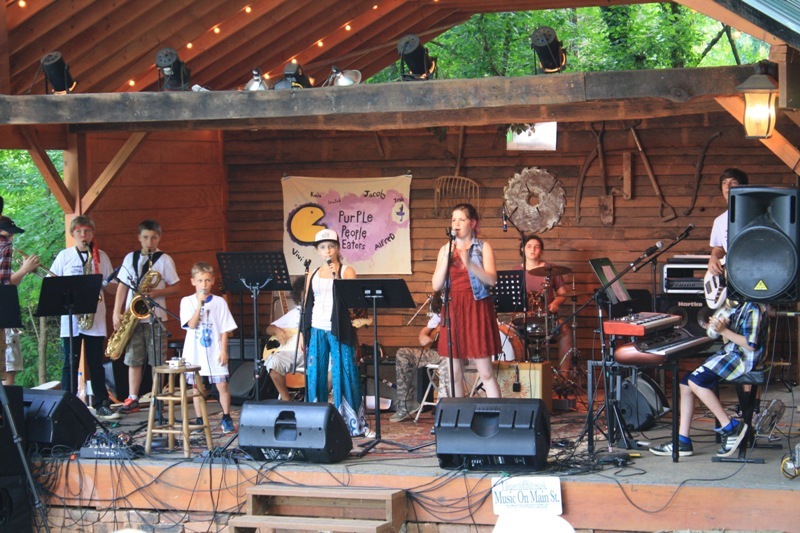 This cultural and engaging summer camp will intrigue all who wonder why the woods are such a great place for stories. This Camp will also include Treetop Quest. Ever wonder what it was like to live during the 1860s? 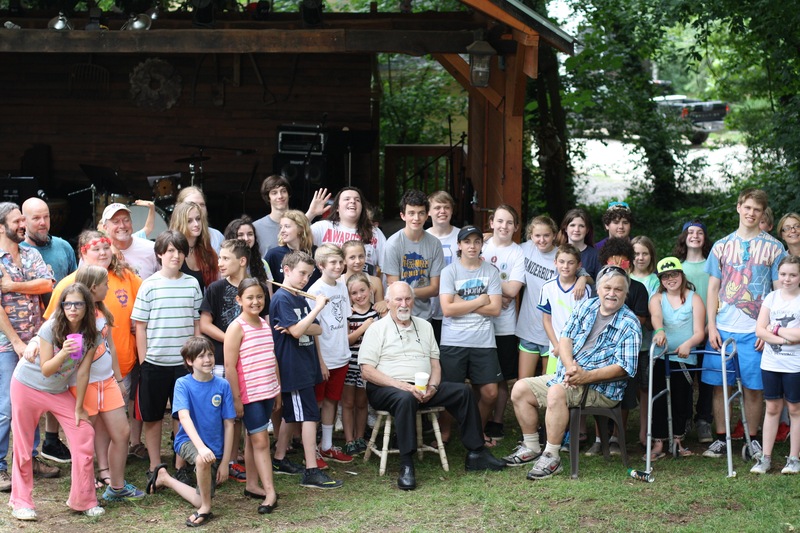 In the Advanced Civil War Camp, campers will participate in an in-depth exploration of life during one of our country's most devastating wars. Campers will learn about the causes of the Civil War, explore life on the home front, and discover why the Civil War is known as our county's first modern war. 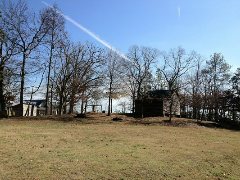 The camp will include a field trip to the Atlanta History Center to receive a private tour of their award winning Civil War exhibit as well as a visit to the historic Yellow River Post Office site. 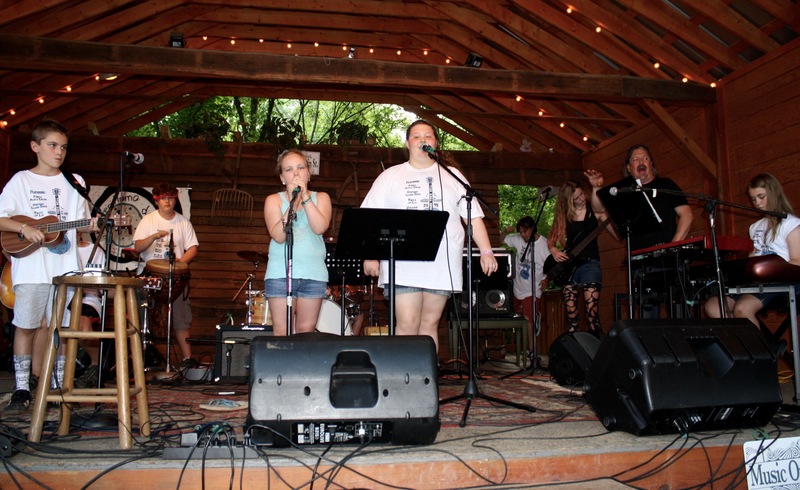 Detailed descriptions, camp dates, and pricing are available online at www.gwinnettEHC.org. CHECK OUT THE EHC'S SUMMER EXHIBIT! The weaving and knitting of yarn to make fabric is a distinctly human characteristic. The practice is nearly 30,000 years old and links cultures from around the world. From Asia to Africa to Europe to the Americas, the making of fabric and creation of textiles help show how cultures identified and adorned themselves as well as how they lived their daily lives. Discover the importance of textiles to Georgia and the southeast and learn how fiber touches all points of human life with the opening of the Environmental and Heritage Center's (EHC) newest exhibition entitled Continuous Threads: 200 Years of Georgia Textiles. With more than 70 works of contemporary fiber arts and historic artifacts, the exhibit is a partnership with the Southeast Fiber Arts Alliance (SEFAA) and highlights the significance of textiles and fiber to Georgia's past and present. The exhibit also features interactive, hands-on stations where visitors learn to weave, cross stitch, design a quilt, and much more. From shirts to dresses to bedspreads and bloomers, Georgia's early textiles were everyday objects with practical uses. Practical textiles continue to play a significant role in Georgia's modern commerce as the state is one of the top three cotton producing states and a world leader in carpet production. While textile manufacturing has a leading impact on Georgia's economy, it is important to recognize that a vibrant art movement has evolved from the region's fiber roots. Continuous Threads explores the comparison between old and new, practical and ornate, and historic traditions and contemporary concepts. The exhibit is on display at the EHC from June 15, 2015, until August 30, 2015, and is included in the price of admission. The exhibit is made possible by a number of artists, historic organizations and educational institutions, including Berry College, Brenau Unveristy, Bulloch Hall, Crafts in America, the Root House Museum, the Roswell Historic Society, and StoryCore. For more information on the exhibit and the EHC, visit www.gwinnettEHC.org. Join us every other Saturday this season for our Summer Workshop and Lecture Series. Morning workshops will consist of beginners classes in textile crafts and afternoon lectures will feature talks by textile scholars and renowned local textile artist. Mark your calendars with these dates filled with full-day fiber arts fun. Pre-registration is required for the Workshop. Click here to register. Do you have a favorite t-shirt that you've worn to the point you can't wear it, but hate to throw it out? In this workshop participants will use old t-shirts to create a chic infinity scarf. This trendy craft will make a fashion statement while also helping the environment! Participants will need to bring their own men's large or extra-large t-shirt to this class. The shirt should not have any logos and should have at most one seam along the body of the shirt. Lecture (2pm-4pm): Join Cammie Fulmer, Curator at the EHC, and artist Katherine Soucie as they talk about environmental sustainability in museums and contemporary fiber art. This lecture will provide a tour of the EHC's Gold LEED certified environmentally friendly building and will discuss how textile artists have embraced the concepts of sustainability throughout history. Katherine Souice, who's artwork is included in the Continuous Threads exhibit, will discuss her work in the context of zero waste art with consideration of the creative community at large. Felting is an age-old craft that has evolved with local traditions wherever it was used. From kids crafts to nomads on the great plains of Asia who live in felt yurts, felting continues to be used today. Join us for this workshop where participants will felt a pouch over a rock using Merino wool and decorative fibers. This creative pouch will be a great container to store all of your tiny treasures. Lecture (2pm-4pm): This lecture will focus on two different traditional textile techniques and explore how they have transformed over time. Pat Donald will discuss how woven "dimity" cloth evolved from a heavy cloth used for bedspreads to a delicate petticoat fabric. Karen Tunnell will discuss how she uses traditional paper marbling techniques in her contemporary quilted artworks. Join us as we explore the evolution of these textile techniques. Ever wanted to learn how to knit? Well now's your chance! Join us as we discuss this textile technique that has been around since the ancient Egyptians. During this 3-hour workshop, participants will learn basic knitting stitches while creating a knitted potholder. Lecture (2pm-4pm): The oldest surviving examples of textiles date to approximately 30,000 years ago. Textiles have played a role in society for thousands of years and during that time have touched every aspect of our daily lives. Throughout this lecture participants will learn about historic vegetable dyeing and will explore the technique of weaving throughout history. If you love history, you won't be disappointed with this lecture! A bookmark is a great way to recreate the essence of a sampler without having to stitch the whole thing! During this 2-hour workshop participants will complete a cross-stitched bookmark based on historic samplers. Participants will also learn about traditional sampler motifs and stitches. This workshop is suitable for all age and skill levels as the motifs can be worked in a variety of stitches, depending on how complex you want to make your project. Today, what girl would think they would be exceedingly proud of a simple piece of cross-stitch embroidery, let alone one that included (almost exclusively) letters, numbers, and maybe a simple verse or decorative motif? Yet, before the advent of public education, girls from the highest levels of society personally identified with and were proud of samplers they worked at school. During this lecture Lynn Tinley will discuss different kinds of samplers and explore how they reflected identity and meaning for the girls who stitched them. Jess Jones, who's work is displayed in the Continuous Threads exhibit, will provide a modern comparison to this discussion as she shares how her experience of moving to Atlanta has influenced her art work. As a quilter who identifies herself as an Atlanta based artist, Jones' work explores multiple motifs of mapmaking, wayfinding and identity. Gwinnett County Commissioner Lynette Howard was recently named as the 2015-2016 Chairman of the Economic Development and Transportation Committee Policy Committee for ACCG, Georgia’s county association. The appointment was made by ACCG President and Gwinnett County Chairman Charlotte Nash. The Economic Development and Transportation Committee covers issues ranging from transportation infrastructure and funding and the relationship between the Georgia Department of Transportation and counties to job creation, incentives for industry and other issues. Commissioner Howard will lead the Economic Development and Transportation Committee Policy Committee with Jones County Commissioner Daylon Martin, who was named Vice Chairman. In addition to legislative advocacy, ACCG also provides leadership development, civic and community engagement programs and membership services such as retirement and insurance programs and discounts for counties and county employees. Formed in 1914 when county officials came together to help fund the state’s first highway department, ACCG today serves as a catalyst for advancing Georgia’s counties. For more information, visit www.accg.org. 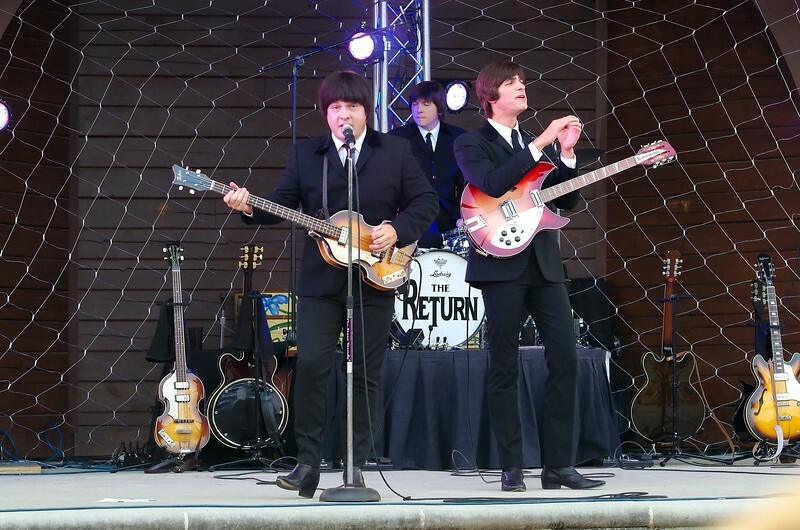 Music on Main Street - Saturday evening concerts continue. 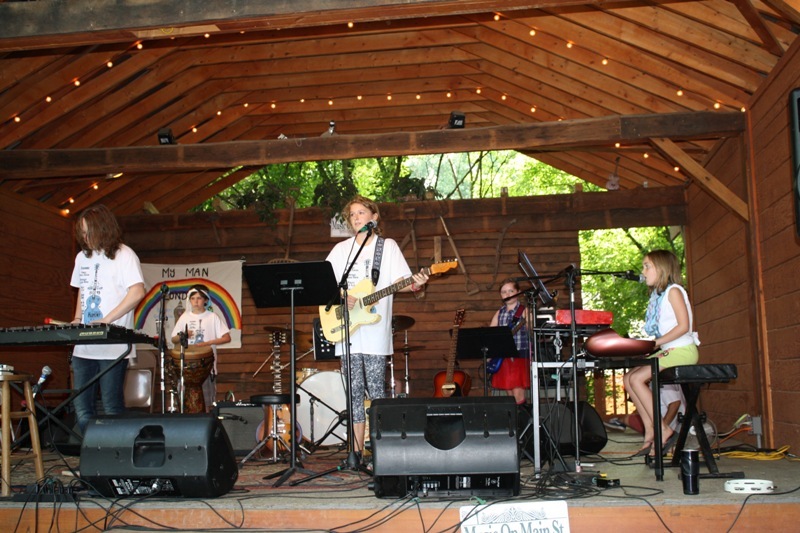 Click on this LINK for a schedule of performers. Dorough Landscape will have a 20% sale on all camellias and Encore azaleas and 50% off everything else on Friday thru Sunday, June 12, 13, & 14 ; Fri-Sat: 8 am – 5 pm, Sun: 12 pm – 4 pm. 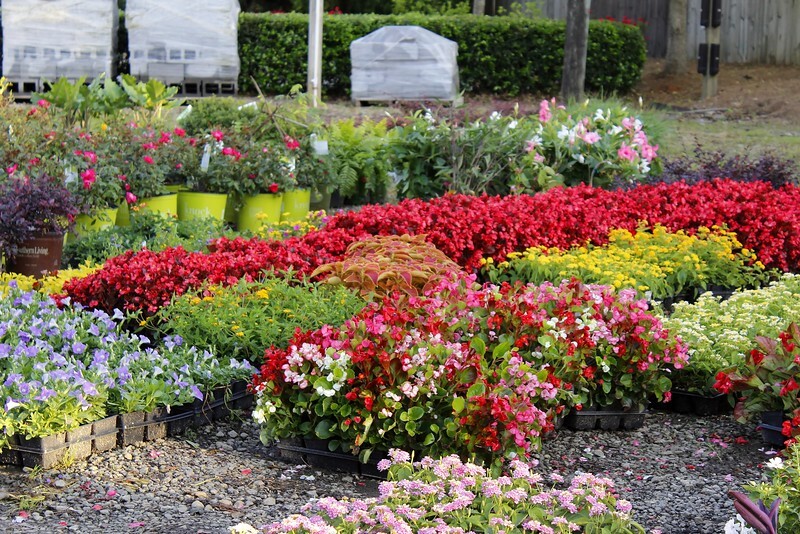 Dorough Landscape is located at 5444 Lawrenceville Highway, Lilburn. 770-921-6485. Agavero Cantina - 4140 Lawrenceville Hwy. Monday nights - Trivia and Thursday nights Mariachi band. The Lilburn Community Improvement District would like business operators and residents to provide input on the Design 29 Wayfinding Study. Public input will be drawing to a close soon and the next step will be meeting to report the recommendations of the study. Go to this link to give your opinion on how the corridor can be improved. 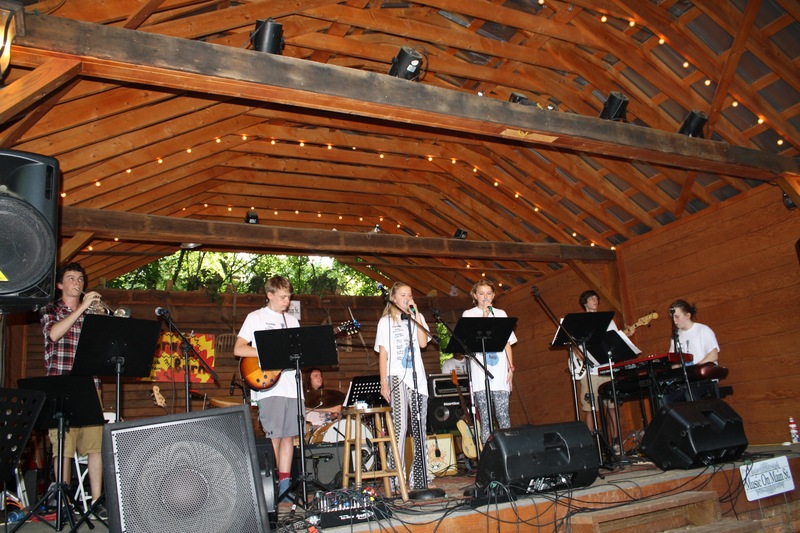 The Lilburn Arts Alliance will hold its next meeting Wednesday, July 15 at 7 PM. Anita Stewart, owner of Anita's ArtsCool in Buford will present the program. 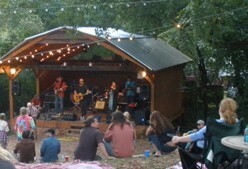 Visit lilburnartsalliance.org for updates. 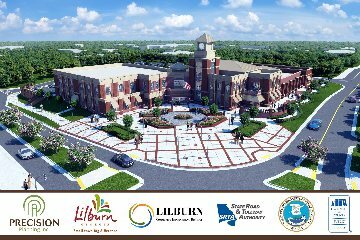 Meetings are held at the Lilburn City Hall, 76 Main Street. The next scheduled meeting will be July 15th, mark your calendars to hold that date! Guests are always welcome. 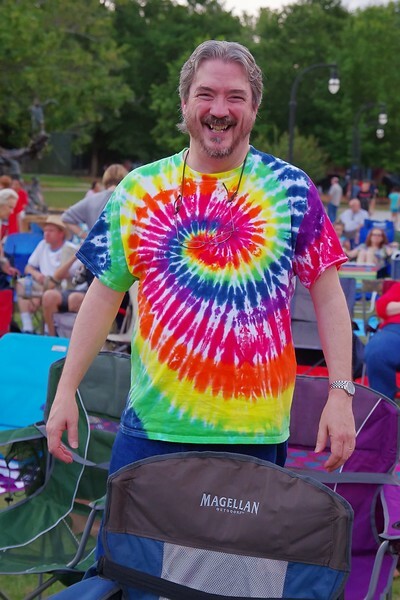 Please contact Andy Triemer, President, at (770) 931-2295 or visit our website www.lilburnartsalliance.org for more information about the Lilburn Arts Alliance. No one probably ordered a background check on you. Be on the lookout for this creepy email scam that states someone doing a background check on you, the Atlanta Better Business Bureau warns. The fake messages claim someone ordered a background check on you, but it’s really a ploy to get you to click an infected link. Interested in who requested information about you? At the bottom of the message is a link to “Find out more about this new-scan.” You may be curious, but don’t click the link! This email is a scam, and the link will download malware to your computer. In general, it’s best not to click on links that come in unsolicited emails. Here are some more ways to spot a malicious email just in case your spam filter doesn’t catch it. The email claims to have information about you, but you never signed up for it. Scams often pretend to be personalized for you, but they are actually sent in batches to many people. Don’t fall for this! If you never signed up for custom email alerts, you shouldn’t be receiving them. Check out the “From” field: Scammers have the ability to mask email addresses, making the message appear to come from a legitimate source. But they don’t always use it. Look out for email addresses that don’t match the brand used in the email message. To find out more about other scams, check out BBB Scam Stopper. To find companies you can trust, please visit bbb.org. 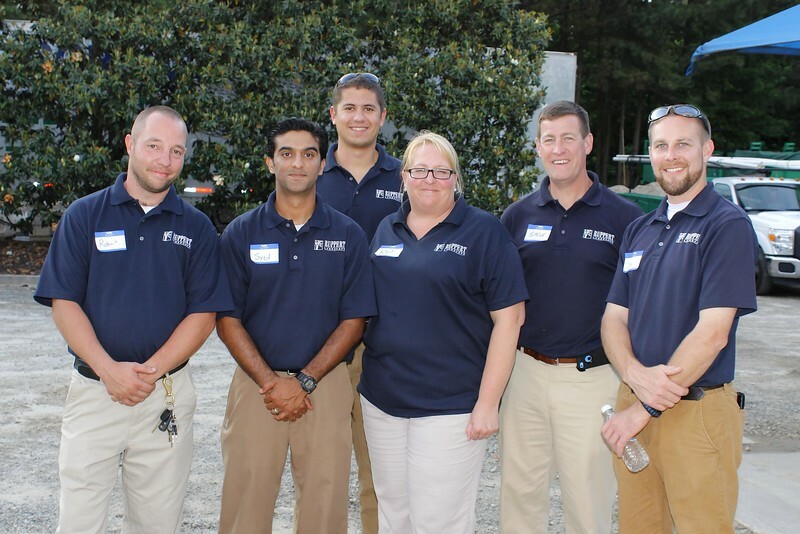 -- Submitted by Margot Ashley, President SafetySmart Lilburn. For 50 years or more companies using glass bottles had a “deposit” on the container so the person returning the bottle would receive between two and ten cents for their diligence. It fostered community awareness through cleaning up the roadsides. It also provided a means for youngsters to get money for a movie, candy bar or ice cream for a week’s work. In the meantime, the deposit/return process instilled the importance of returning glass to be reused, either by cleaning or by melting it down to reshape it. In current practice in Georgia, the deposit on bottles has been “removed” because glass is collected at the curbside with all other recyclables. Curbside recycling is not the only way to collect recyclables. Glass and other recyclables are being collected at community drop off centers, like the Recycling Bank of Gwinnett and the Snellville Recycling Center. However, the process of collection creates a hazardous situation at the recycling plant. Not only is the glass commingled with all other recyclable items, but the recycling trucks compress the collected items to get more in each load. **** Safety is an issue, but the bigger issue is that there is no market for the broken mixed glass. So, the glass ends up in a landfill. Imagine what happens when the glass is tossed onto the truck, compressed and then dumped on a concrete floor for sorting. By the time it reaches that point, it is no longer a single clear, brown, green or white bottle but a mixture of multiple colors of glass shards. The broken glass in itself is a challenge for handlers, but the compression also drives the glass into the paper, boxes and plastic containers surrounding it. This situation is causing recyclers to question the value (it is more than just the question of value) of recycling glass…causing an outcry among those who collected bottles for the deposit in their youth. It is part of our DNA to save glass for reuse. The realities of glass recycling tell a different story. Glass is the least valuable item to be recycled: In one month in California, aluminum delivered $1500-2000 per ton, certain plastics brought $200-300 per ton and glass earned $2.00-4.00 per ton. That is not a typo: glass collection for one month brings less than $5 per ton. This again raises the question of validity in collecting glass for recycling. Europeans take an approach requiring more effort on the part of the consumer: Containers for collection have divisions for white, green and brown glass…but the recycler must take the glass to the collection container. This requires effort (and a place to store the glass until it is recycled) but ensures that the glass can be reused. This may not be a long term option if recyclers mix the glass bottles or bring glass items that are not recyclable, like glassware, plates, window glass. This is a call for everyone who cares about our planet to make the effort to increase our efforts to continue to recycle glass safely. **** Recycling glass is much more than safety. It is ensuring that there are markets for what is collected for recycling. Meetings this month are June 11 and June 25. 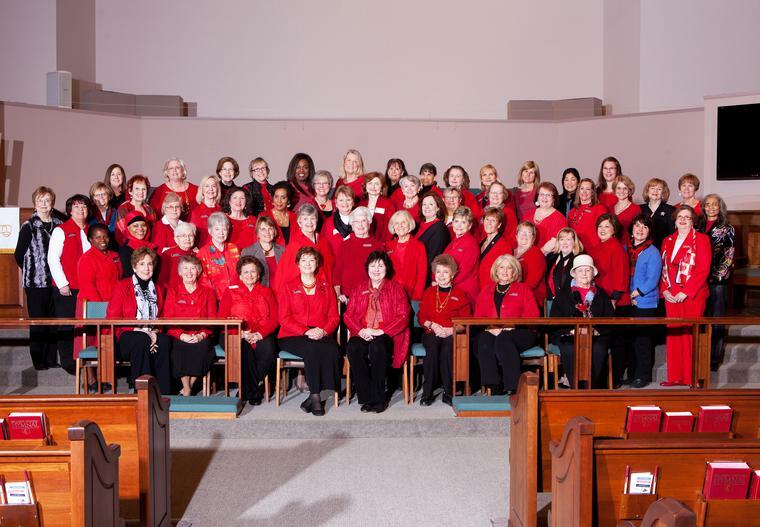 The Lilburn Woman's Club is taking a break from regular meetings as it plans for future projects, convention, and Lilburn Daze. Those interested in joining or knowing more about the organization should check the website by following this LINK. 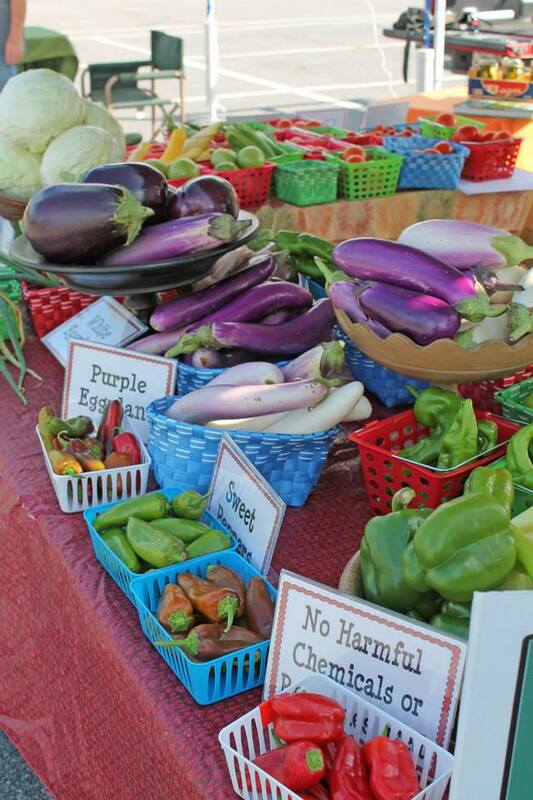 The Community Garden is hosting two garden seminars: "Growing UP not OUT" to be held on Sat. June 13, at 10 am at the garden on Camp Creek Rd. near Lilburn City Park. Tony Gobert from Gwinnett Tech will talk about growing plants for box gardens and small areas. On Saturday, July 11 at 10 am, Tony will give his annual "walk and talk" thru the garden to identify pests and offer treatment solutions go garden issues. Check out the LCC website for great resources for home gardening. LINK. Gwinnett Clean & Beautiful... 35 Years and Counting! Visit www.GwinnettCB.org to view the new Gwinnett Clean & Beautiful website and let us know what you think!